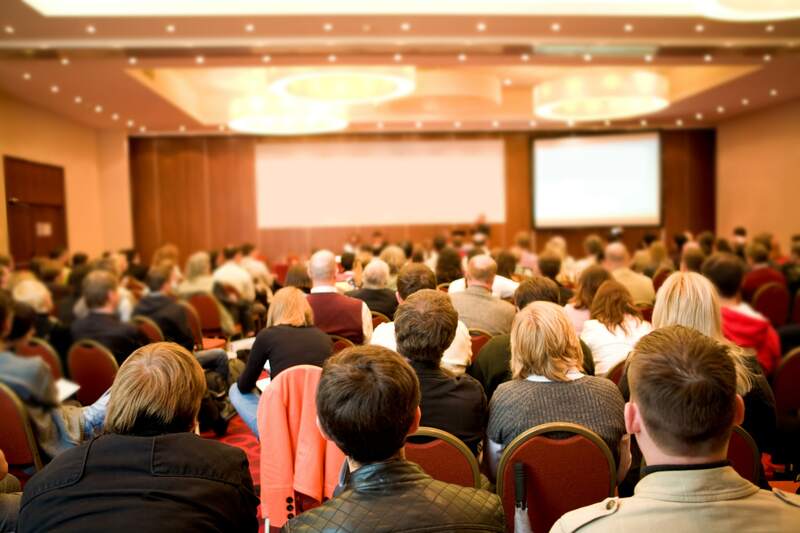 The past few decades have seen a steady rise in the number of business conferences. Most are hosted in just a few cities: Las Vegas, Orlando, and Chicago. Business conferences serve as a time to nurture relationships, exchange information, discuss best practices, recruit, and more. How can you stand out in this crowded field? We recommend that you consider how to live stream a business conference to boost visibility and reach a broader audience. First, we’ll look at some of the reasons to live stream a conference. Then, we’ll examine some of the technical implementations. Finally, we’ll provide an overview of how to stream a meeting live, as well as look at costs and revenue options. Our goal is to provide you with an understanding of the process and why it may be helpful to you. First, it’s a great way to generate buzz. Streaming conferences greatly extends how people are able to access it. It can also integrate around hashtags and social media conversations. Look at SXSW as an example of this. They are successfully building on their success by becoming an online news sensation via streaming, video, and social media. Second, live streaming brings you into the cutting edge. It demonstrates that your industry or business is committed to new technology and innovation. Streaming shows openness and a desire to share your message with the world. This forward-looking demeanor is a critical, often-overlooked investment in the future. It’s also a value-added service. Too tired to attend day four of the conference? Stay home and watch from there! Third, conference streaming can generate income. 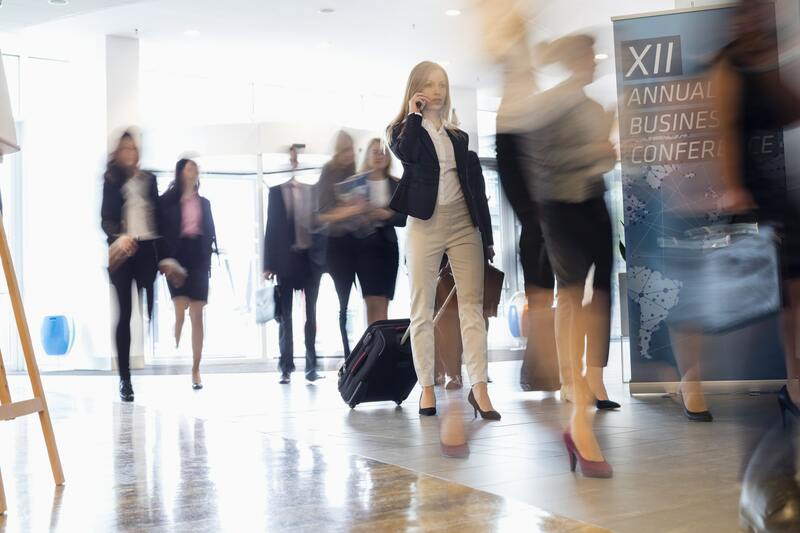 People pay to attend most business conferences in person. The same can be true for a live streaming conference. It’s possible to generate large sums of additional revenue by selling access to your stream. Additionally, you can generate more by highlighting sponsors in your stream. Fourth, streaming allows you to reach a larger audience. Even if your event sells out, more people can attend virtually. Individuals who live on the other side of the world can attend. So can small business owners who can’t afford a plane ticket, entrance fee, and a few days off work. Similarly, those who are simply too busy at the time of the conference can easily tune in to a live feed from their homes. Fifth, conference streaming allows you to educate viewers by providing trainings. Live streaming is increasingly being used for training in corporate and business environments. Offering training is a great way to bring in attendees, stimulate excitement, and amp up the value of your conference. Lastly, conference streams allow you to access important individuals. Top executives, politicians, and other power players are rarely able to attend multi-day conferences in far-off locations. Streaming encourages their participation. Combined with video conferencing, this technology allows you to engage with leaders in your industry anytime, anywhere. Using these four tools allows you to stream to the world. First, record your conference using a quality video camera. Then, link your camera to a computer or hardware encoder, which will transcode the video into a format suitable for live streaming. In this stage, you can also add titles, insert overlays and logos, and so on. Next, the streaming video file transmits continuously along the internet connection to your OVP. Once it reaches the online video platform, your stream will be delivered via a network of servers to your viewers around the world. This usually occurs via video players that you can embed on your website, share on social media, and link to in emails. If you can only get one camera, we recommend scanning the five bestsellers on B&H Photo Video and choosing the one that best fits your needs. Typically though, conferences will simply hire a media production company to take care of their live streaming needs. However, even if you do take this route, it’s essential that you understand the process. This will allow you to make the right calls so they can produce an excellent live stream. Most conferences will want to record with multiple cameras. The main live stream may focus on major keynote speakers and feature spokespeople or commentators in between these plenary sessions. Other cameras may roam to different sessions, visit tables and booths, or seek out individuals to interview on-screen. We recommend at least two to three cameras for all but the smallest conferences. You will also want to ensure that your stream is professionally produced. One consideration is having an online video provider with 24/7 technical support to ensure the quick solution of any problems. Another element is having a centrally-located engineer with stream production equipment. Lastly, there are two different categories of streaming hardware. The first is to use a workstation computer (or several) with streaming software and capture cards. This option is functional, powerful, and potentially cheaper. The second is to use dedicated video hardware similarly to television production. This option is more robust, but also more expensive. Live streaming relies on skilled camera people and technicians. Typically, you can produce a stream using one operator per camera and one engineer to run the live stream and cut between feeds. You may need additional staff to help you set up and take down equipment. It’s simple to factor in these costs to any media production company you are bidding with. You should also consider your needs for additional services. For example, you may need help with your website, embedding, and marketing your live stream. These professional services streamline implementation and help you make the most of your investment. Even with the equipment and staffing needs, live streaming is relatively affordable. The price of broadcast-grade video equipment has fallen steeply over the past decade. Even next-gen 4K equipment is affordable today. It’s possible to live stream a small conference for a few thousand dollars. Even a large event is doable for less than $20,000 in most cases. However, we can’t provide specific pricing information. The details will depend upon your specific needs: the number of cameras, size of the venue, broadcast quality, production value, and so on. What we can do is point you to the DaCast pricing page, which explains the affordable cost of our event pricing live streaming service. Let’s discuss how to live stream and generate revenue at the same time. In many cases, it is possible to offset the costs of production or even turn a profit—potentially a sizable one, depending on the size of audience you can attract. Generating revenue is relatively simple via advertising, subscriptions, and pay-per-view (PPV). Generating revenue from a live stream typically involves pre-selling tickets, just like with physical attendees. DaCast offers a white label video player with an integrated paywall for subscriptions and PPV. When you consider how to live stream a conference, it may seem daunting. However, the technology has matured a great deal in recent years. Live streaming is mainstream and becoming more so all the time. Streaming business conferences and conventions makes sense. It’s cost effective and provides a high amount of value—and it’s becoming the norm. Hopefully this article will help you make informed decisions about live streaming conferences and the benefits that come with it. Do you have any questions, comments, or additions? We love to hear from our readers, so let us know what you think in the comments section below! We’ll do our best to respond to everyone and update this article as new information becomes available. Thanks for reading, and as always—good luck with your live streams!